Though the Power Dodge Estevan Bruins had their season come to an early end on Sunday night, it was a memorable semi-final series for 16-year-old Cody Davis. 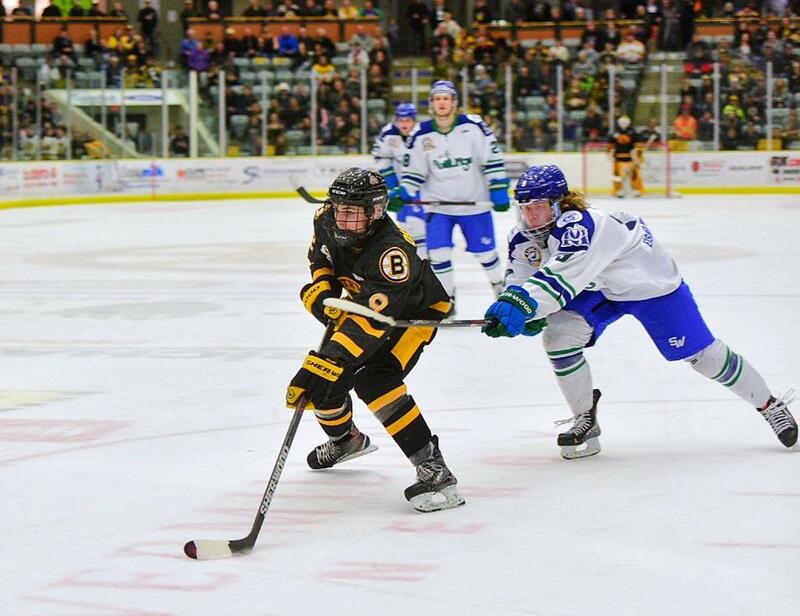 The Alameda-born speedster, younger brother of the Bruins' Jayden Davis, scored two goals in a 4-2 Game 4 victory and added an assist in a 4-1 Game 5 defeat as he has been named the SJHL's Rookie-of-the-Week for April 1st-8th. Cody Davis spent the year with the Moose Jaw Generals of the SMAAAHL where he tallied 26 goals and 37 points in 44 games. Davis played two regular season games for the Bruins, his first one also against the Melfort Mustangs on January 25th. Davis scored on his first SJHL shift and finished the game with two goals and one assist. Cody would also get an assist in a March 1st game against the Weyburn Red Wings. In the playoff, Davis suited up for five of the six games against Melfort in the semi-final. His speed helped create several more scoring chances and Bruins fans got a glimpse of what they could see in the 2019/20 season if Davis earns a spot on the team full-time. Davis is eligible to return to Moose Jaw (SMAAAHL) for one more season.